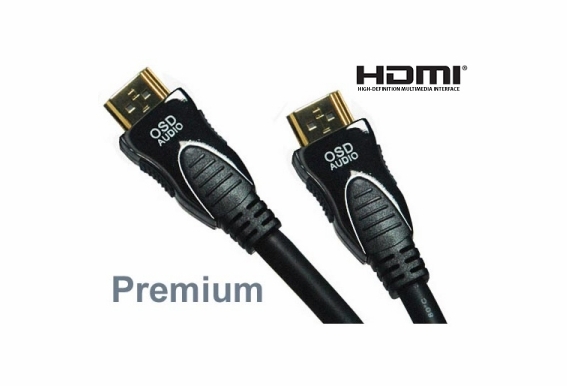 Our Premium HDMI cable a is High Definition Multimedia Interface capable of the latest formats including 3D and 1440p. 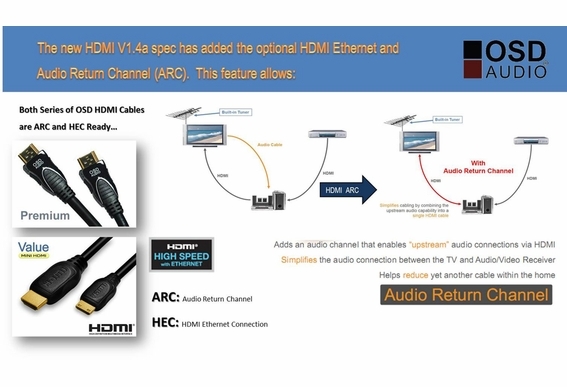 Use this all-digital audio/video interface between any audio/video source, such as a set-top box, DVD player, and A/V receiver and an audio and/or video monitor, such as a digital television (DTV) and you'll be amazed by the picture clarity. The Premium version includes the same features as the Value version of HDMI but uses a nickel-plated black metal housing for extra durability. This can come in handy if you plan in connecting and reconnecting the cable. 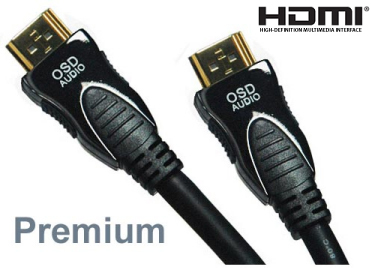 OSD HDMI® supports standard, enhanced, or high-definition video, plus multi-channel digital audio on a single cable. 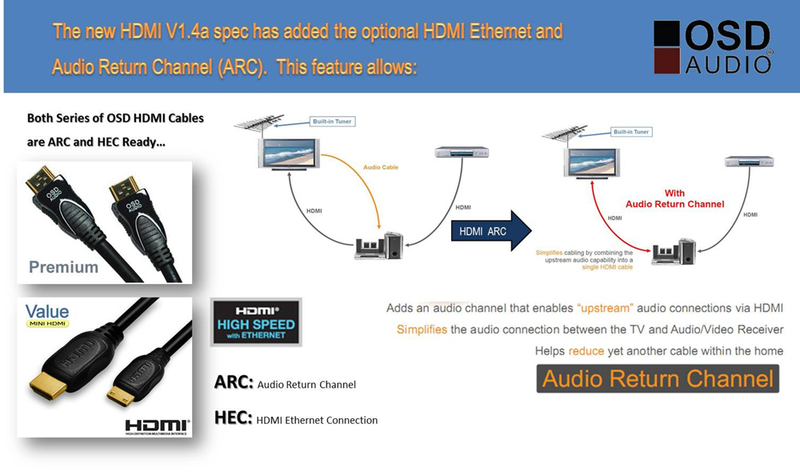 It transmits all ATSC HDTV standards and supports 8-channel digital audio, with bandwidth to spare to accommodate future enhancements. Are these rated for in wall installation? Can I use this cable to connect my laptop with my TV?